Tussar silk, also known as Kosa Silk which is the Sanskrit name of Desi Tusser. 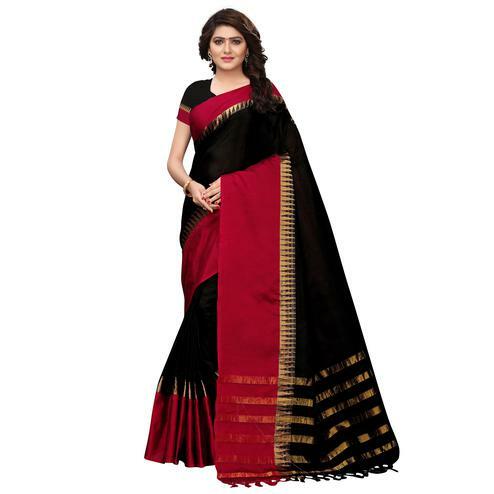 Tussar sarees look elegant and royal and you can never go wrong by wearing this saree. It emits magnificence and worldliness and are being considered favorable for all the beautiful ladies out there. 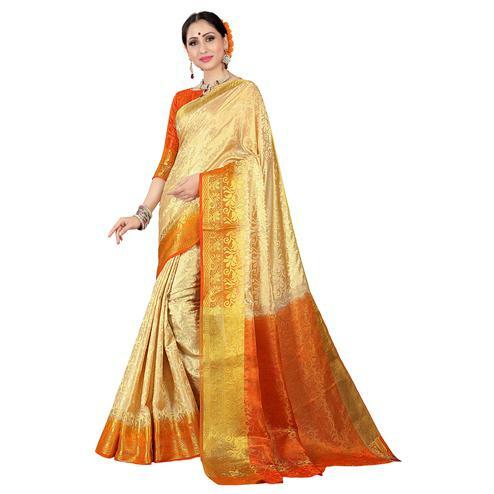 No woman's wardrobe is complete without a Tussar silk saree. 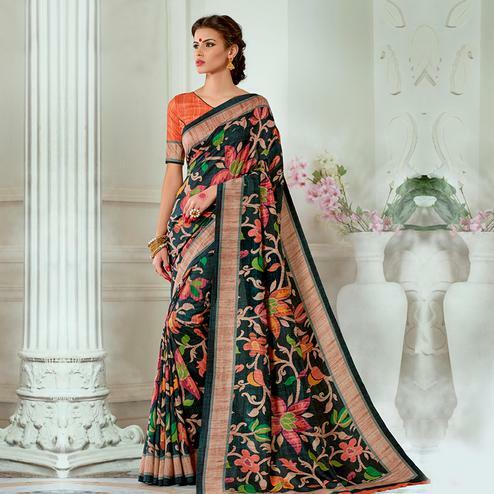 You can wear these royal and sophisticated sarees for wedding, reception, festive occasions etc and look breathtakingly gorgeous. Its essence lies in its diversity. It looks modern, contemporary and traditional at the same time. 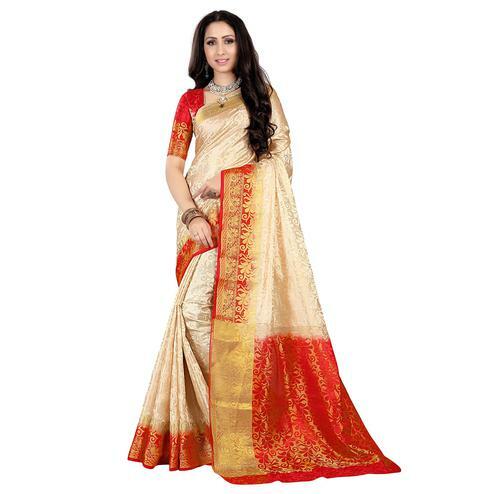 Buy Tussar silk sarees online from our vast and exclusive saree collection. 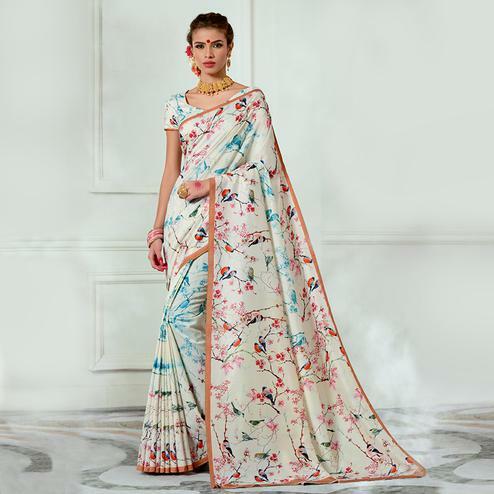 Tussar, which itself is a variety of silk, can be further divided into different subsection like Katia, Ghhichha, Thigh reeled and machine reeled. On further mergers of these varieties, two definite types named as Tussar Ghicha and Mulberry Ghicha are obtained. 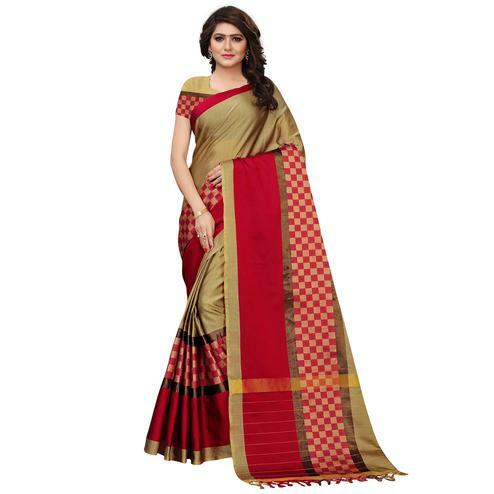 Tussar silk saree comes in outstanding patterns with rich and heavy borders. 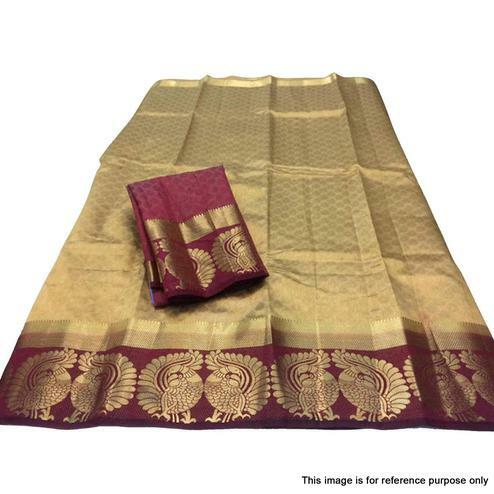 It’s now simple to get some excellent designs without visiting the South India because you can easily buy Tussar silk at Peachmode. Tussar Silk sarees are printed with gold & silver thread to generate zari work, resham thread to create floral print and geometric patterns. 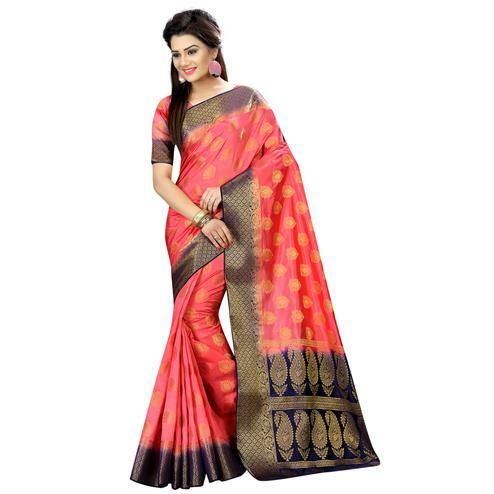 These Silk sarees are also famous for their brocade work. These patterns are usually created in pallus to look embellished. 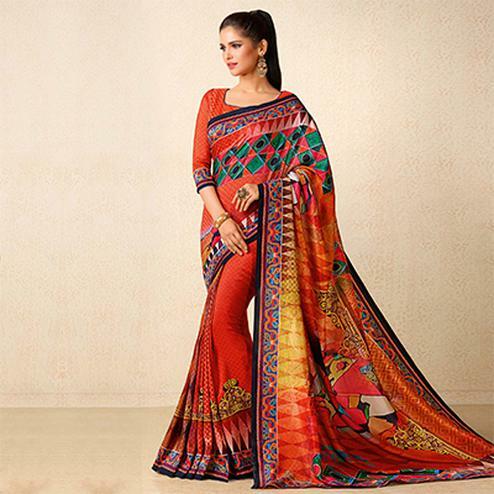 These decorative work make these sarees so mesmerizing that it cater to every individual’s choice. 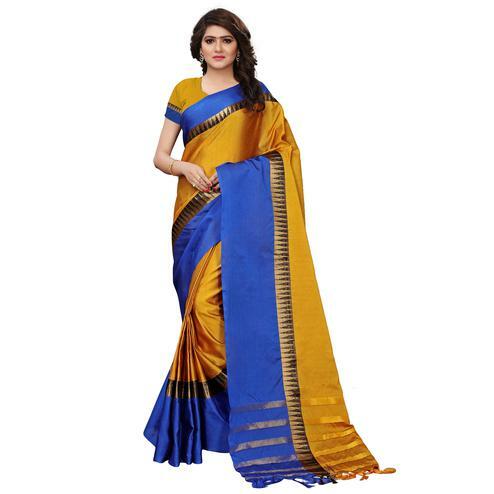 Women like to buy Tussar silk sarees from Banaras, Mysore, Kancheepuram, Tanjore. At Peachmode, we keep an extensive range of Tussar silk sarees from all these areas. 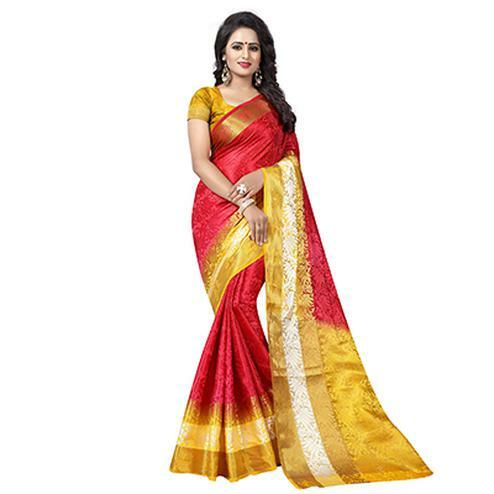 Conserving Tussar silk saree is not a difficult task, it can be maintained safely. Avoid twisting or crumbling of silk. While maintaining Tussar silk Fabric two things have to be taken care of. Firstly material should be protected from spots. Secondly, its sheen and luster should be taken care of. 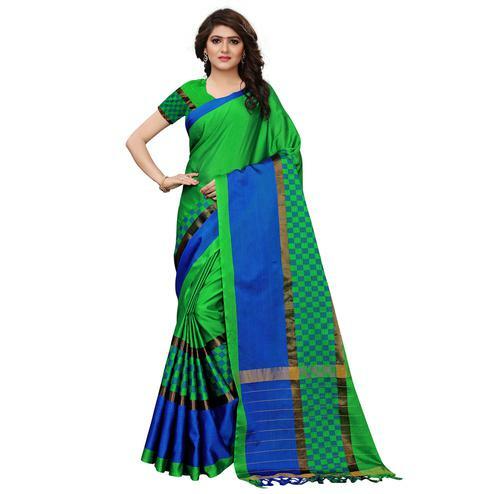 Dry cleaning these sarees are the safest option, if to be hand washed use cold water and mild detergent. Placing them in airy places is the best way to keep them fresh as silk needs to breathe. Tussar silk sarees have a royal and textural printed look, that helps the women look adorable & remarkable in this outfit. 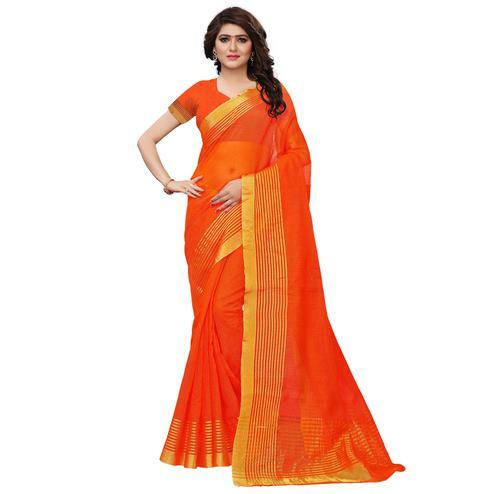 Tussar Silk saree is fascinating & outstanding for women to wear for any occasion. 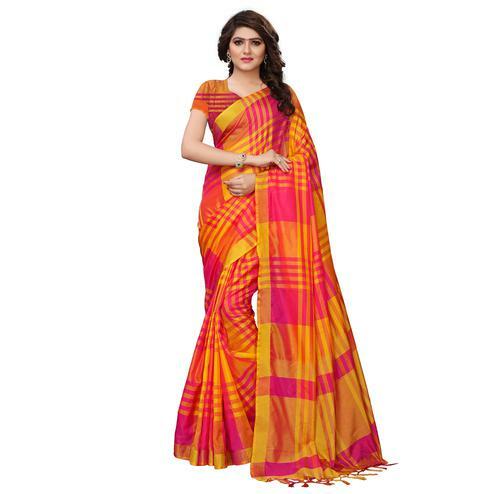 Bhagalpur is popularly known as a hub of Tussar silk sarees. It is the major producing place for silk. 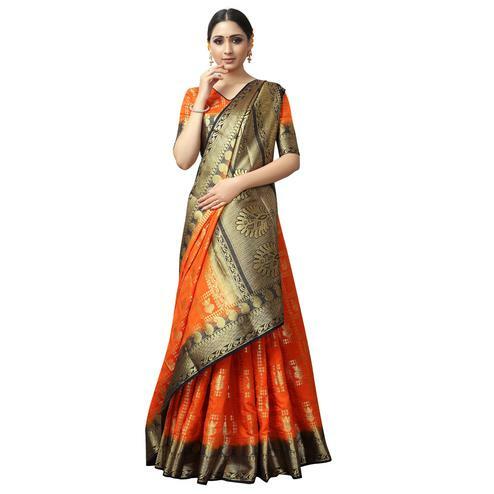 Shop at Peachmode and find the pride of Bhagalpur at best prices with unique pattern & designs.